For over 30 years, Jerven AS has been the supplier of its specially created Fjellduken protective tarp product (The Jerven Bag) to the Norwegian Armed Forces. In 2004, Jerven delivered approximately 7,000 of the Fjellduken product to various Norwegian military divisions. Both the French, and Danish special forces regularly use the Fjellduken, while the Swiss and British special forces are just starting to as well. Jerven currently produces six different Fjellduken models. The most basic product, Fjellduken Original, has no lining and weighs just 650 grams. 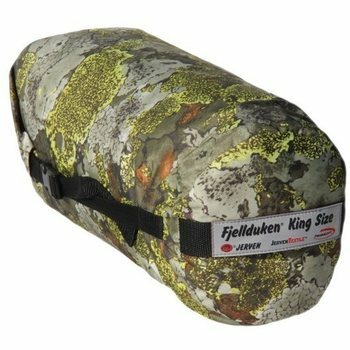 The warmest Fjellduken, Fjellduken Extreme, is identical to the Hunter product, only with thicker lining. The most advanced product is Fjellduken Exclusive. 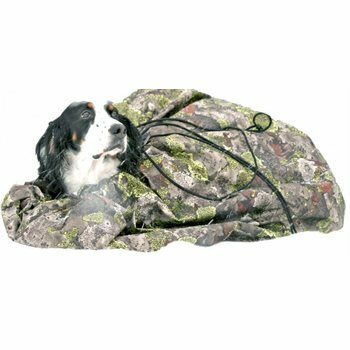 It is a lined tarp without lining, but with zippers allowing you to connect PrimaLoft padding. This comes in 60gr and 170gr versions. All the thermoversions (With PrimaLoft) also work well as sleeping bag reinforcements. A number of Norwegian soldiers sleeping in -40 degrees Celsius weather have used Fjellduken products on the outside of their military sleeping bags.